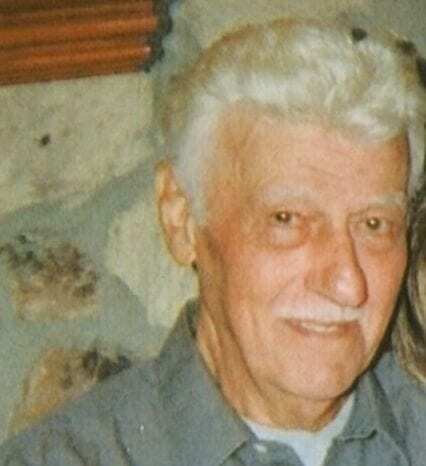 Richard A. Rossi of Mohegan Lake, NY passed away on Friday, March 15, 2019 at the age of 83. He was born in the Bronx on August 27, 1935, the son of Domenico and Emilia Rossi. On August 17, 1957 he married Rosemarie DiPresso and they were blessed with 2 children Richard and Denise. Richard was an avid golfer and loved to root for the Yankees and Giants. He enjoyed a daily nip of Jack Daniels and swore it kept him healthy like a glass of wine. Most of all he loved his family, especially his grandchildren. Richard is survived by his daughter Denise Zablow and her husband George, daughter-in-law Janet Rossi, and grandchildren Nicole, Christina, Jessica, and Anthony. He was predeceased by his parents, his loving wife Rosemarie, his son Richard, and his siblings Dario Rossi, Aldo Rossi, and Mary Piconcelli. Friends and family are welcome to attend a visitation on Sunday, March 17th from 2-6 PM at the Joseph J. Smith Funeral Home in Mahopac. A Mass of Christian Burial will be celebrated on Monday, March 18th at 11 AM at St. Elizabeth Ann Seton Church in Shrub Oak, NY. Entombment will follow at Rose Hills Memorial Park in Putnam Valley. In lieu of flowers, please make memorial contributions in his name to St. Jude Children’s Research Hospital, www.stjude.org.